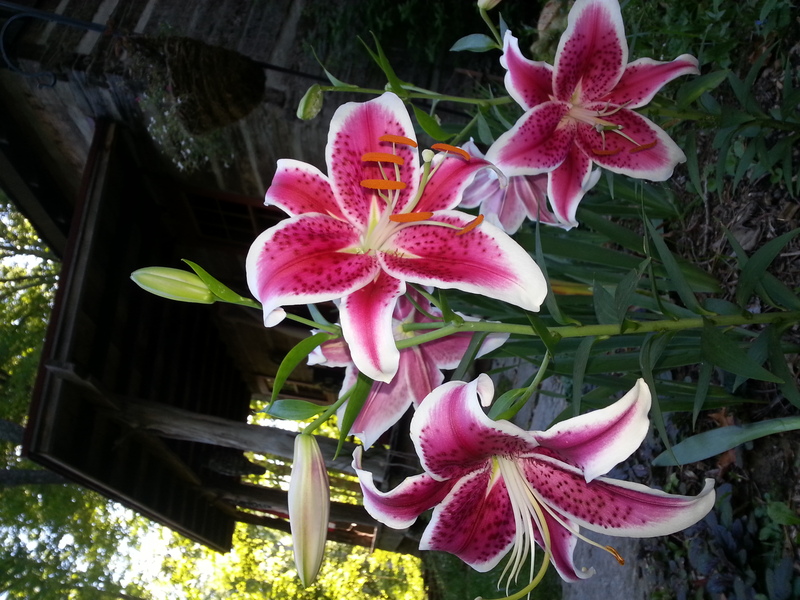 Stargazer Lillies bloom in the garden at the entrance to the cabin. 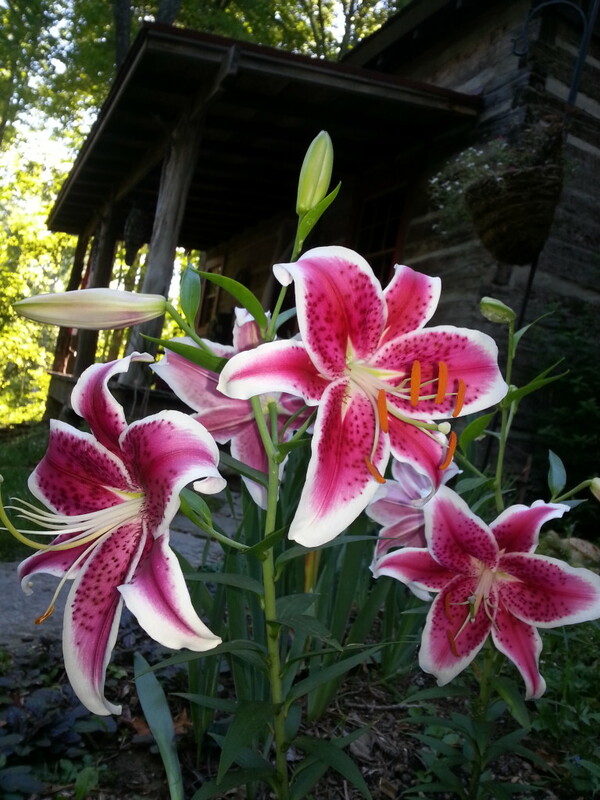 Today the Rubine Stargazer Lillies are blooming. Not only are they gorgeous, but they scent the entire garden.